Australian advanced materials technology company Talga Resources has achieved high levels of electrical conductivity in concrete by using an additive developed from its graphene-graphite research and development laboratory in the UK. The breakthrough offers substantial potential in existing and emerging industrial applications, particularly as concrete is the world’s largest construction material by volume. The concrete samples were manufactured at Talga’s German-owned process test facility and the Betotech laboratory in Germany using industry standard cement with additions of Talga’s pristine graphene, graphite and silica-rich by-product of ore processing. The optimised formulation targeted high electrical percolation at low material concentrations and with potentially lower cost factors. The samples were tested in-house by a European industrial partner and further measurements were undertaken by Professor Ian Kinloch’s group at the University of Manchester (UoM). In the UoM study, the conductivity of samples was measured using electrical impedance spectroscopy in both through-plane and in-plane directions over a range of frequencies. For reference, a standard mortar (without Talga additives or aggregates) was used. “The initial test results show that Talga’s graphene-enhanced concrete achieves such high electrical conductivity that it can act like the heating element of an electric stove," says Talga's managing director Mark Thompson. "This type of concrete has some exciting and large volume applications, and in some cases can combine with our thermally conductive concrete. “Furthermore, the conductivity is achieved with a very low loading of our graphene, but a larger amount of ore processing by-products, providing maximum potential for the most cost effective, scalable and eco-friendly development options." The UoM tests recorded the Talga graphene-enhanced concrete had high electrical conductivity (low resistivity) to 0.05 ohm-cm. (Ohm is the measure of a material’s resistance to conduct electricity, the lower the better.) This rating compares to a general resistivity level of around 1,000,000 ohm-cm for the reference mortar at a similar dryness (the background level of moisture can affect electrical conductivity, so samples are measured at the same dryness). The results have also shown the silica-rich by-product of ore processing is remarkably conductive in itself, tough and highly suitable for use in construction materials. Trial concrete products developed by Talga are targeting the innovative use of this material, thereby increasing potential economic benefits and sustainability of the future Swedish operation. “Talga’s successful tests follow work published by Exeter University showing 146 percent improvement in concrete strength using graphene. [Exeter University] estimated that a 50 percent reduction of cement used for the same strength concrete would result in a 446 kilogram per tonne reduction in carbon emissions by the cement industry, currently the third-largest industrial energy consumer and second largest industrial carbon emitter in the world. “Talga is encouraged by these first tests and will move to take the prototype results to potential development partners in the world’s largest construction industry material," Thompson says. As concrete is effectively an insulator (does not conduct electricity) in a dry state, adding the function of high electrical conductivity has been a goal of material scientists for a long time. Attempts typically relied on the addition of high loadings of magnetite (iron), steel fibres, synthetic and natural carbons (including graphite) but did not achieve high levels of performance. In addition the required (high) loadings of active materials tended to cause negative effects on cost, strength, corrosion and abrasion resistance, maintenance costs and weight. The electrically conductive ‘graphene concrete’ has applications in current markets such as underfloor heating, where it can provide a long-term, low-maintenance alternative to plumbed hot water installations. 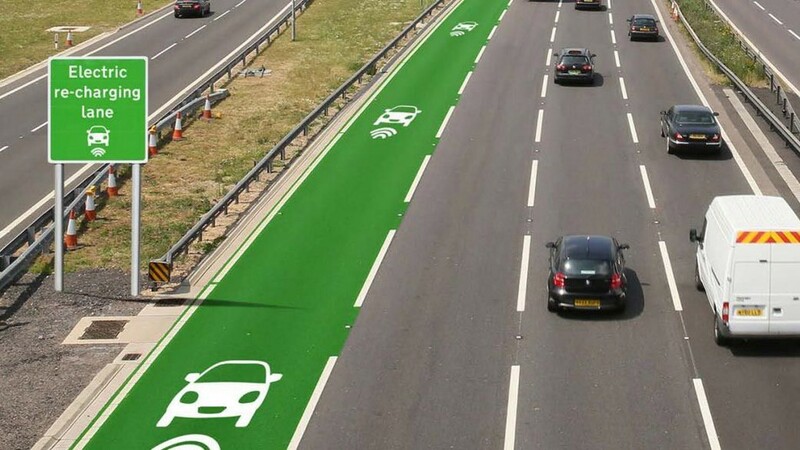 Other current applications include the provision of anti-static flooring and EMI shielding (radio frequency interference) in buildings, and cost effective grounding and lightning strike protection for a range of infrastructure from bridges to wind turbines. Additionally, as a ‘solid state heater’ the technology may enable more rapid, and environmentally friendly ways of clearing ice and snow from key transport routes and airports compared to the cost of ploughs, salt, de-icing chemicals and wastewater treatment of chemical runoff. The replacement of widely used salt as a material cost, its transport and distribution, and its corrosive effect on road and bridge infrastructure and vehicles would be an emergent but high potential application for heatable concrete. In future, Talga will investigate the potential of the electrically conductive concrete for a cost effective role in enabling inductive (wireless) charging technologies for electric vehicles under dynamic (driving) as well as stationary (parking) conditions through the increased range of heating, sensing and other conductive concrete functions. For further information visit www.talgaresources.com. Images courtesy of Talga Resources.